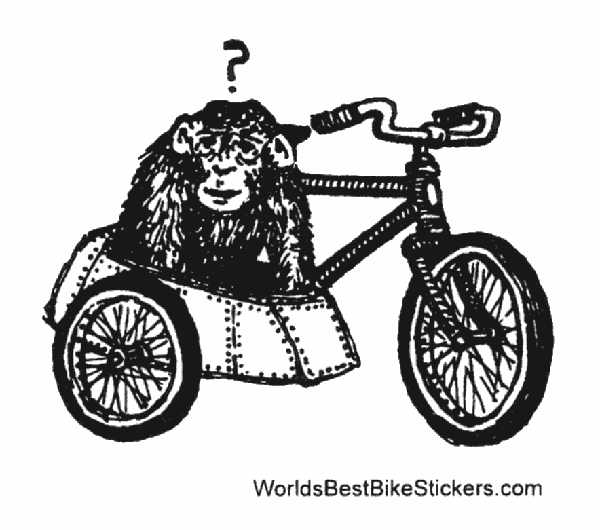 Chimpanzee is confused, why is it in this sidecar, attached to a bicycle nonetheless. 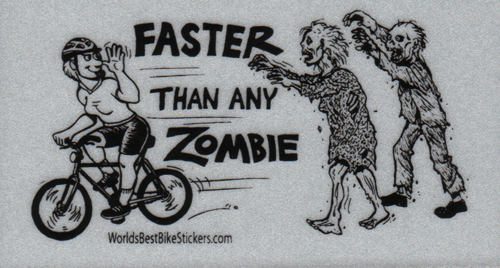 Maybe the chimp is wondering where the rider went. 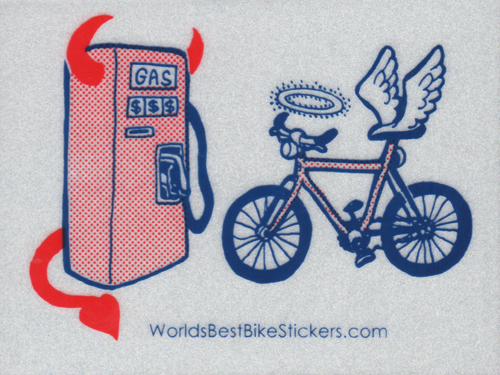 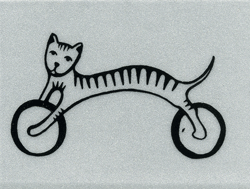 Printed on a silver reflective sticker – shines brightly at night in headlights.